The arcades design, design for the arcades. Via Sacchi in Torino, an experience of urban regeneration. The Call for concept is aimed at an international comparison for students of the University Schools of Architecture, Design, Art, on a real case for the project of urban regeneration: the public space and the system of the arcades of via Sacchi in Turin, defined as the suburbs of the city center, currently in a state of commercial decline. The Call for Concept asks students to outline a concept of approach to the re-generation of "via Sacchi”, as an area of creativity, inclusiveness and sustainability. The call offers the opportunity to participate, after a selection, to a Living Lab that deepens the proposed scenarios with experts, administrators, associations of citizens. Today the street is characterized by three paths: the west porticoed side which features via Sacchi, the middle, a road traveled by public and private transportation and the east side barrier to the railway, where there is a pedestrian and cycle path. 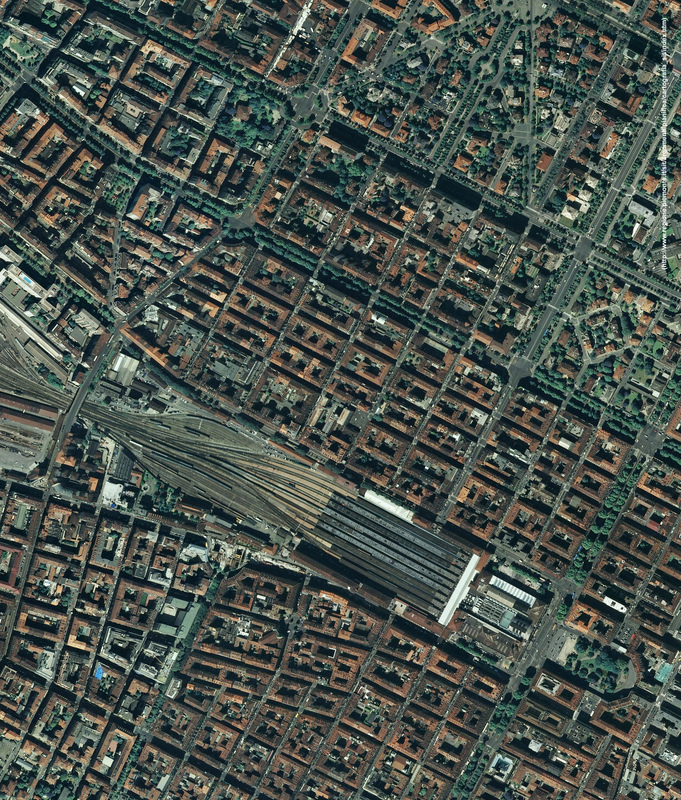 The northern edge consists of the facing towards the station central square (p.za Carlo Felice). The south edge (on its east side) has a narrow band in conditions of abandonment (below the c.so Sommeiller overpass). The arcades of via Sacchi are part of the wider historical path of Turin’s arcades (12 km). Due to the commercial decrease, even the arcades on the opposite side of the station, corresponding to Via Nizza, suffer a significant level of urban degradation. For these reasons, since some years, both these areas are the object of social attention and redevelopment interventions by different players (city administration, neighborhood and sector associations, architectural heritage superintendents, citizens). The Call for Concept requires, as a contribution, a design concept (not a project in detail) upon one or more of the axes indicated for Via Sacchi, with the aim of triggering processes of re-generation and attraction for this area. functions and ways of use of the streets: encouraging the establishment of new creative activities and proposing ways to communicate them (i.e temporary shops and showrooms, venues for cultural associations and social, spaces for information point and collective interest services, co-working areas, spaces for craft activities and makers); increase physical access for all in safe conditions (public transportation stops, cycle path and pedestrian on the east side, pedestrian connection beetwen via Sacchi and via Nizza); enhancing the paths on the railway side (spaces for social activities, relational and comminucational speces, walls, bus stops). the components of the urban scene, respecting the historical values: arcades (i.e. architectural elements, shop windows, signs, sunshades, inter-pillar windows, furnishing and communication equipment); the middle road (i.e. pedestrian barriers, sidewalks, public transportation stops); railway side (i.e. tree-lined and low-rise, road signage, furniture and communication equipment). analogical and/or digital solutions for the use and communication of paths; permanent or temporary equipment systems; light & sound scape and communication tools. - to experiment at different scales, in association with traditional solutions for the fruition and construction of a public space with identity, possible new technologies in the direction of the "smile city", a word that refers to the association between "smart", ICT platforms and IOT interactive systems and "social", in favour of a tangible and intangible accessibility to urban places and inclusive relationships between people. The proposed goal is consistent with the guidelines established by the European Parliament for the "European Year of Heritage 2018", to encourage the greatest number of people to discover and get involved in the cultural heritage and strengthen the belonging to a common European space. It also matches to the program of "Torino Design of the City 2018, towards an accessible city”, annual event related with “Turin Creative City UNESCO”, to be held in Turin from 12 to 21 October 2018. A. A single graphic document (A1 horizontal format 841x594 mm) to illustrate the "concept of design approach" to one or more axes of the via Sacchi among those described and one or more design occasions among those described for the area under study. The scale and composition of design boards must allow an adequate understanding of the design vision (graphic schemes, storyboards, masterplan, renderings, in addition to conventional representations). The file must be in high definition (max 30 MB), in electronic pdf format, according to the attached model. The images must have a resolution of 300 dpi. The project board (document A) must have a title as indicated in the attached layout. B. Registration form with contact information, and Disclaimer filled and signed by each participant, in pdf format (according to attached Document B in word). The second part of document B relates to the short curriculum of each participant or of each individual member of the group. The official language is English, therefore all the texts of documents A. and B. must be in English. No further or different products than those indicated are allowed. Students, single or in groups of up to 3 members, from schools of architecture, design and fine arts, both Italian and international, enrolled in courses for the Academic Years 2017-18 and / or 2018-19 are eligible to participate. Groups can be multidisciplinary and composed of students from different Universities or Academies. The group is a unique entity and the paternity of the proposals will be recognized to all the members. Participants will could not use other consultants and collaborators. It is not allowed to participate in the Call with more than one proposal or group. The Call will be shared through the university networks, the Turin municipality and the UNESCO Creative Cities network. Participation takes place under the personal responsibility of the competitors who are responsible for the originality of their works. In the case of a group (of a maximum of 3 members), a group leader must be appointed, the sole responsible and contact person with the contest promoter. The contact name must be explicitly indicated in document B. - by email, if smaller. In any case files must not be sent through a compressed folder of any format (such as RAR, ZIP, 7-Zip, ACE, CAB, GZip ...). Deadline for receipt of applications: September 30, 2018, h 12.00 (Italy). Any recurring questions and answers will be reported in the FAQ on the web page. All requests for information must be in Italian or English. • enhancement of architectural and cultural values. 1 attorney of the “Rilanciamo Via Sacchi” Committee. The names of the members of the Selection Committee will be announced on the website. The result of the Judging Commission's decisions will be motivated by the assignment of scores, according to the identified criteria. The Judging Commission decisions will be recorded in minutes signed by all the members, kept in the acts by the Contest Promoter. The best proposals presented will be exhibited in via Sacchi during Torino Design of the City, between 12 and 21 October 2018 in collaboration with Fondazione Contrada, City of Turin, Comitato Rilanciamo Via Sacchi. Among the students selected for the Call for Concept exhibition, 9 will be invited to participate to the international Living Lab that will be held in Turin, approximately between Friday 1st March and Monday 4th March 2019. Selected students from university schools of architecture, design and art, Italian and international, not living in Turin, will be awarded a reimbursement of expenses (€ 500.00), with the obligation to participate in the International "Living Lab " in Turin. The contest promoter proclaims the selected proposals after the necessary checks on administrative documentation and incompatibilities. All the selected works and the results of the Living Lab will be published on the dedicated page of the Politecnico di Torino website, and in a specific catalog and disseminated internationally, also through the Creative Cities Unesco network.